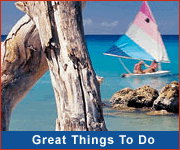 Bathsheba Park is a small beachfront park located in the seaside town of Bathsheba on the east coast of Barbados. This is a wonderful place to stop for a picnic lunch under the shade of the trees with the tradewinds cooling you off. If you don't have lunch with you don't worry as there are several small eateries in Bathsheba serving local dishes and snacks. The scenery at Bathsheba Park is simply magical as the Atlantic rollers break, creating wonderful conditions for surfers. You may also spot local children and adults engaging in a game of cricket on the manicured lawns of the park! You'll also likely notice colorful clothing (shirts and wrap skirts) blowing in the wind! Stop by the stalls to browse and purchase clothing and local jewellery. The shore along this stretch of beach is quite rocky but you can often find unique and curious rocks and shells along the shore... a one of a kind reminder of your trip to this beautiful place. Please note that this park is quite busy on weekends, so if you prefer a quieter atmosphere you may wish to visit during the week instead. Washroom facilities are also available at Bathsheba Park. 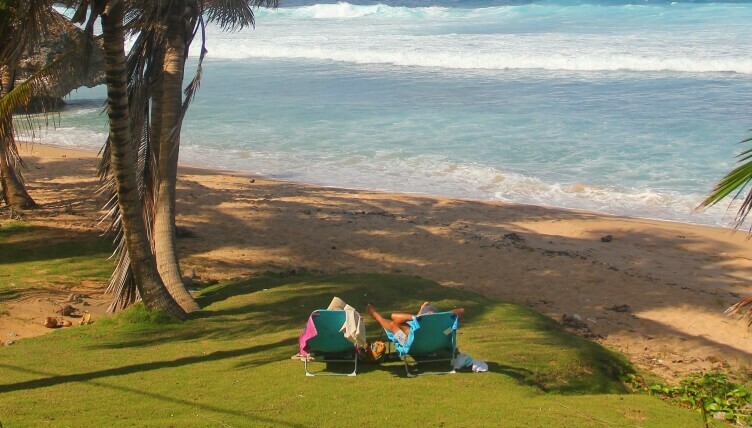 The charming Round House Inn is the ultimate intimate island escape in Bathsheba. 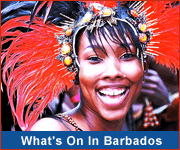 Discover how a stay on Barbados' east coast will leave you invigorated and refreshed. Visit Bathsheba as part of an island tour.